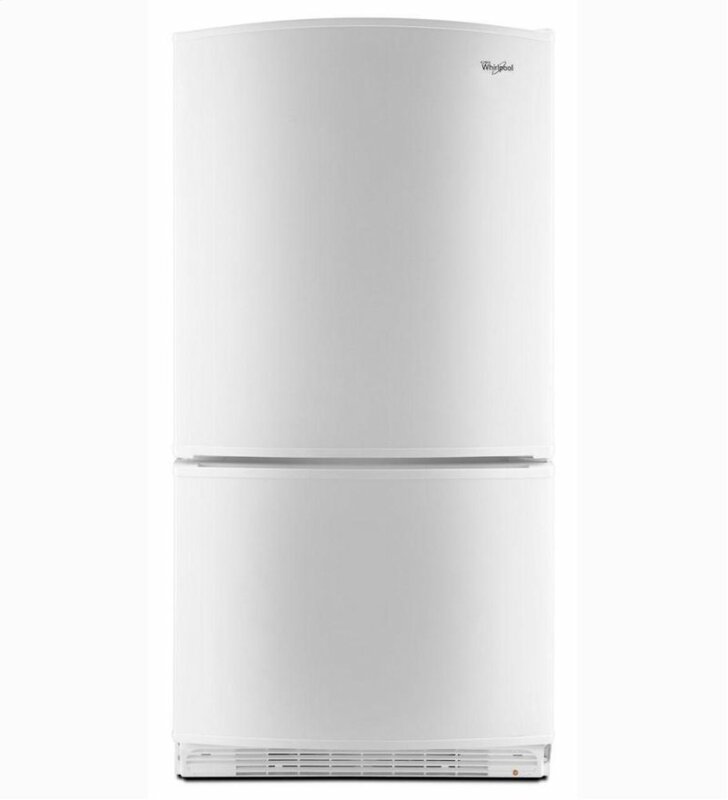 Frigidaire, which is a part of Electrolux, makes upright freezers for Frigidaire, Gibson, Kenmore and GE. W.C. Wood manufactures upright freezers for Amana, Whirlpool, Magic Chef, Danby., and Maytag. Haier also makes some uprights for GE, Kenmore, Maytag, Amana and some of its own upright freezers. Knowing how few companies manufacture upright freezers in the US, it’s of little surprise that you’ll find minimal differences in performance or efficiency between the best freezers and medium grade models of the same year, style and size. Something also to remember is that you may decide to pay for a bit of an upgrade for a certain freezer when in reality you could buy a very similar freezer for less money. Typically you pay more for the bells and whistles that are added in. This inexpensive, 12.1 cu. ft freezer is very roomy and quite easy to keep organized (much easier than a chest freezer). It comes with interior lighting; many shelves and an automatic defrost cycle. It seems quite sturdy and seals well though it can be a bit loud. 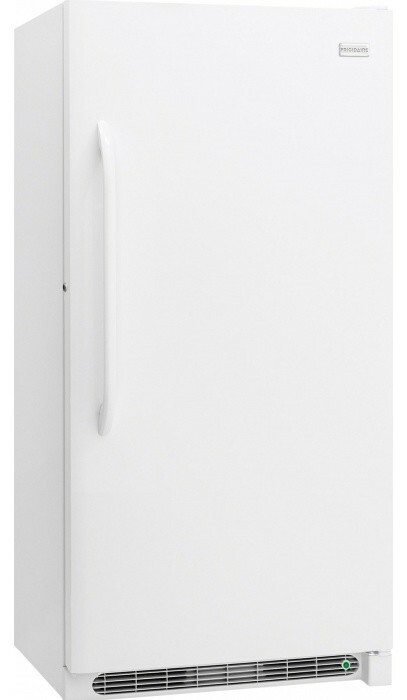 While this freezer has a huge amount of storage, it also comes with another special option – two doors. It looks very similar to a bottom freezer refrigerator though both compartments are freezers. What makes this perfect is the ability to open only a portion of the freezer at any one time which becomes a huge energy savings. Also comes with lots of extras like: alarm to tell you if you’ve left the door open, freezer alarm (tells you if your freezer isn’t cooling properly), many bins for extra storage space and it even has shelves that can be adjusted like in most newer refrigerators. Best of all, it has an Energy Star rating!! Tip: If you want you can add an ice maker to it buy we don’t recommend it for the very reason of having to open and close your freezer every time you want some ice. Freezer Reviews: Not sure which kind of freezer is right for your needs; take a look at our overall freezer reviews page to help you figure things out. Upright Freezer: Learn more about this style of freezer to see if it is your best choice. Chest Freezer Reviews: While the easiest storage solution is a frost free freezer that is upright, if you need significant amounts of freezer storage, make sure you check out chest freezers before you purchase one. Freezer Alarm: Not sure if you need an freezer alarm? Take a look at this article to fill you in on what it does.